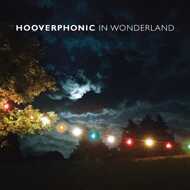 The new album of Hooverphonic exists because of the form different vocalists from five double portions. On numbers 1 and 2, you hear the same voices, in numbers 3 and 4, you will hear a different voice on numbers 5 and 6, yet another etc. Each pair numbers consist of a single and an album track. A little to the principle of the old 45 tour singles on vinyl. Hooverphonic scores with 'Badaboum "already a smash! The charts in Belgium do not lie with a No. 1 ranking in the national airplay chart and No. 2 in ultratop. The video for this single view you above. The single is the forerunner of the album 'In Wonderland' which opens on 18 March 2016. On 'In Wonderland' you hear multiple voices, both male and female, with different timbres that give a unique character to each number. An eclectic plate so, with the theme melancholic strings specific to Hooverphonic. "After years of having worked with one specific vote per album, we were really excited to work with different people. In the past we often attributed super cool numbers starting from a male voice. In most cases, they could be perfectly reworked in a female version, but this did not always work. So often gems remained unused. For us it is an obvious choice to use not only women's voices on this album.